Hypneumat Vertical Tapping Station | Hypneumat, Inc. 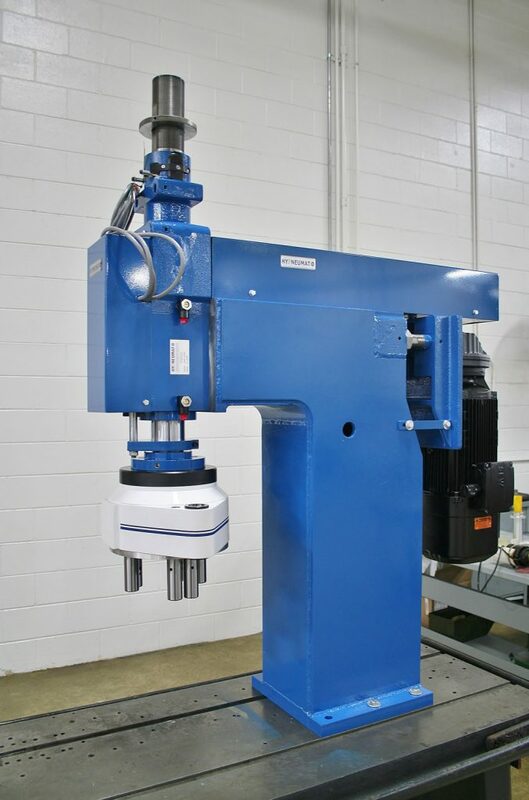 This tapping station consists of a Hypneumat LS46E Lead Screw Tapper and Centreline 6 spindle tapping head. A 7.5HP SEW motor is driving the (6) 3/4" straight bore spindles at 600 rpm, roll forming 1/4-20 threads. These components are mounted on a Hypneumat fixed vertical weldment and the entire module will be integrated into a machine manufactured by a local special machinery builder.